There was a conference in Berlin last month that I would have loved to visit: New Antiquities: Transformations of the Past in the New Age and Beyond. This event conceived by Dr. Dylan Burns and Dr. Almut-Barbara Renger is on a topic that I think deserves a lot more attention than it’s being awarded: the diverse uses of the historical past to construct new forms of practice, tradition, aesthetic and worldviews. Well, we know a great deal already about the invention of tradition, of course. 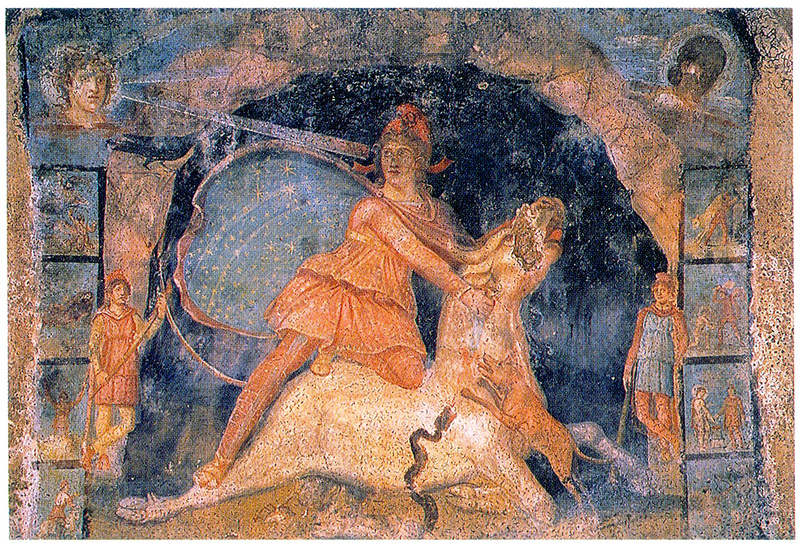 What would be really cool is to get archaeologists, classicists, historians, philologists and other experts of “what really happened” (or the best current approximations, anyway) to talk with those who study the imagined past (what’s sometimes called “mnemohistory” – the history of how the past is remembered). Something along those lines is what this conference aimed to do. One of the reasons why the task is crucial is that, unavoidably, the access that those who construct the past have to the past, goes eventually through scholarship – often, to be sure, outdated scholarship, and often, too, scholarship that has been filtered through other channels such as popular culture – or the less than reliable akashic records. Getting experts of the contemporary and the ancient to talk together thus seems a mutually enriching opportunity, especially for theorizing the role of scholars in the discursive production of the past and of invented traditions. For those of us who missed that opportunity this time, there is a nice little review of the conference over at Albion Calling. Ethan Doyle White gives a good summary of the speakers and the topics they treated, with a specific focus on issues relating to contemporary paganism. Go read it. 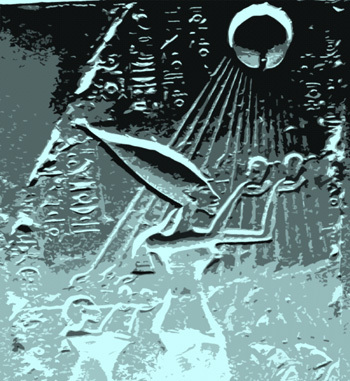 Back in September the call for papers for a very interesting workshop was released at the Ancient Esotericism blog (and elsewhere). 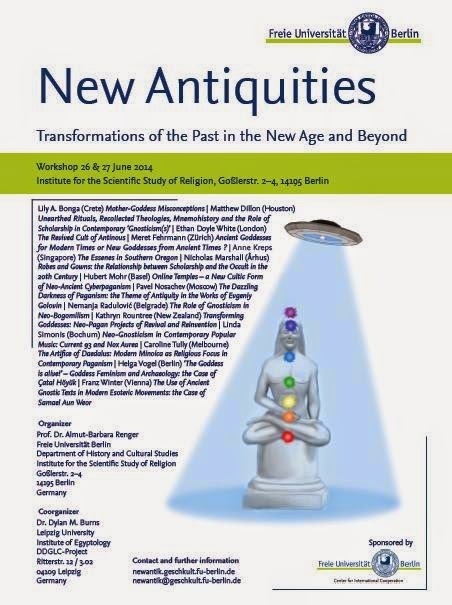 “New Antiquities: Transformations of the Past in the New Age and Beyond”, put together by Almut-Barbara Renger (Freie Universität Berlin) and my good colleague Dylan Burns (Universität Leipzig), calls attention to the myriad uses and imaginings of antiquity in contemporary religious discourses. A fascinating field that has received quite some attention from religious studies scholars interested in such things as the construction of tradition or mnemohistory. What’s particularly interesting about this workshop is that it aims to mobilize the antiquity specialists as well, who, a bit too often perhaps, have tended to avoid dealing with questions related to such modern “reception history”. It’s also an excellent platform for bridging the studies of ancient and contemporary esotericism. A few days ago I returned from Gothenburg, Sweden, after the fourth international conference of the European Society for the Study of Western Esotericism (or #ESSWE4 for those following the tagboard). It was slightly larger than the three previous conferences (in Tübingen, Strasbourg, and Szeged); more than 90 papers were presented, there were discussion panels, keynotes, and night-time events. The conference was spread out over four days, and it needed every minute of the daily 9-hour schedule. Sarah Veale has done an exquisite job on the recently released website of NSEA (Network for the Study of Esotericism in Antiquity). 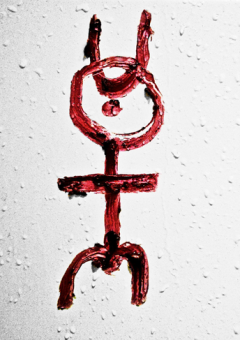 The network itself, as you can read more about in Sarah’s post at Invocatio and at the website itself, is organised on the initiative of Dr. Dylan Burns, and is another thematic network of the European Society for the Study of Western Esotericism. Now that NSEA is up and running, with an excellent online resource database, the ESSWE suddenly has a special-interest network for both of the two historical periods that have most often been neglected by historians of esotericism: antiquity and the present day.